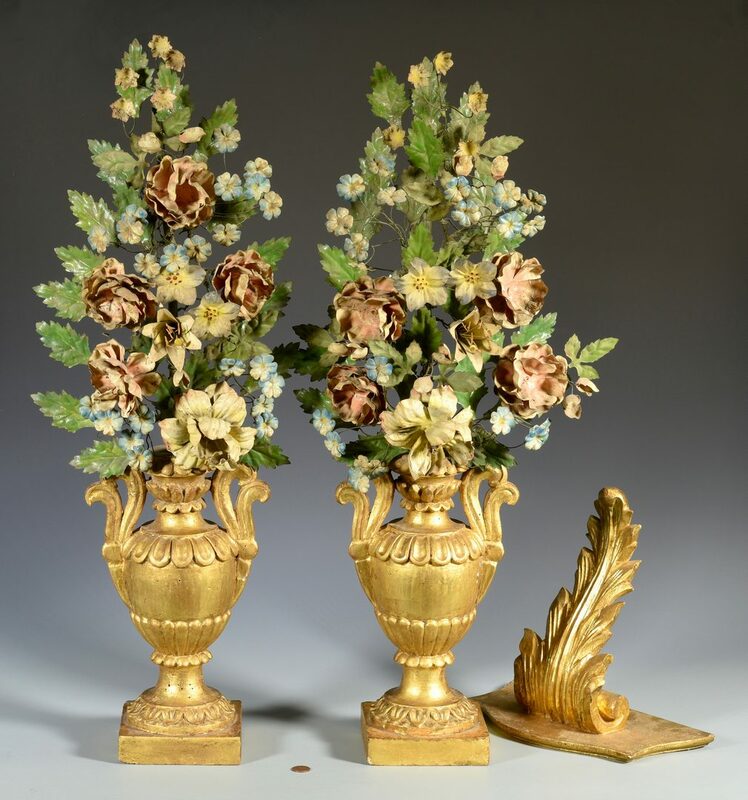 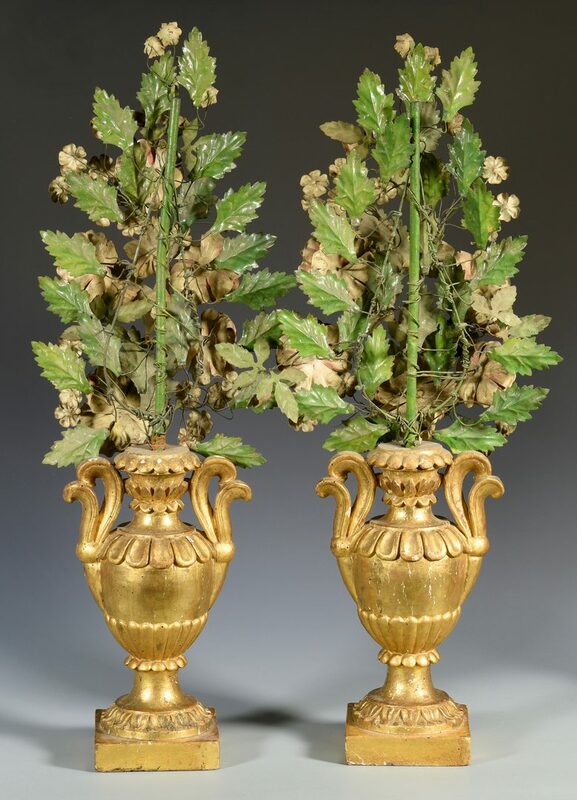 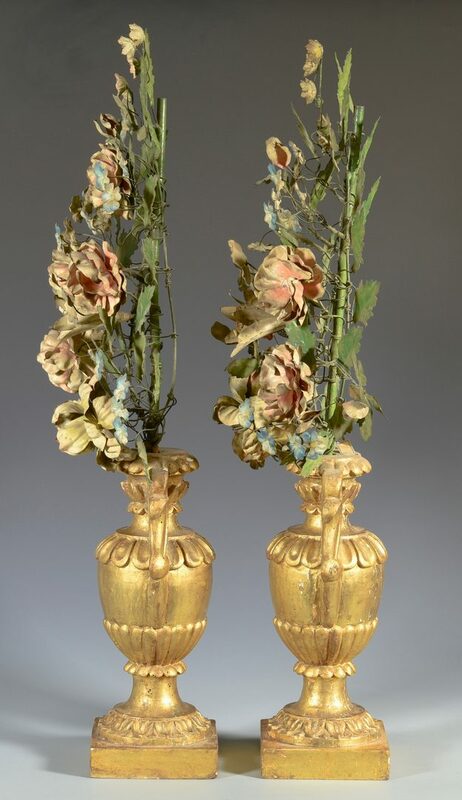 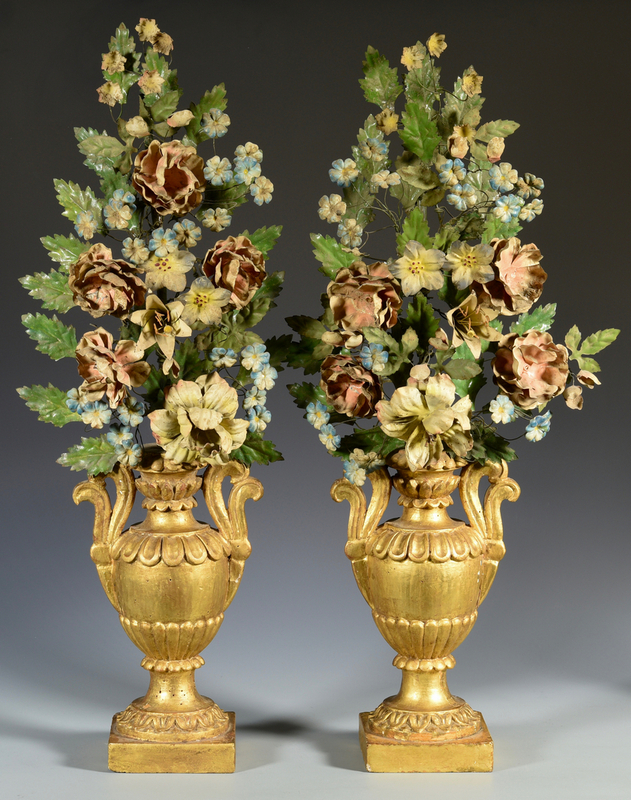 Pair of Italian gilt wood and painted tole table ornaments comprised of gilt wood urns with painted and wire wrapped flowers and leaves. 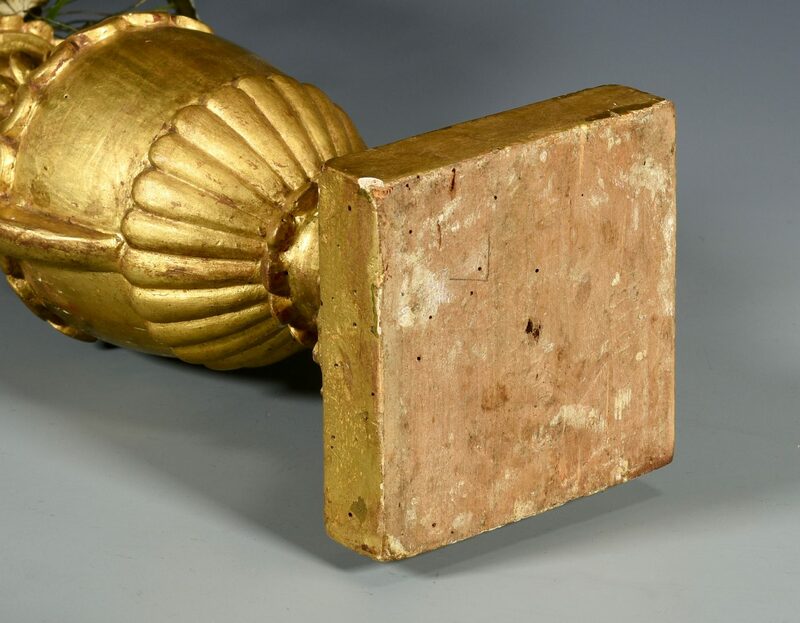 One retains an old label. 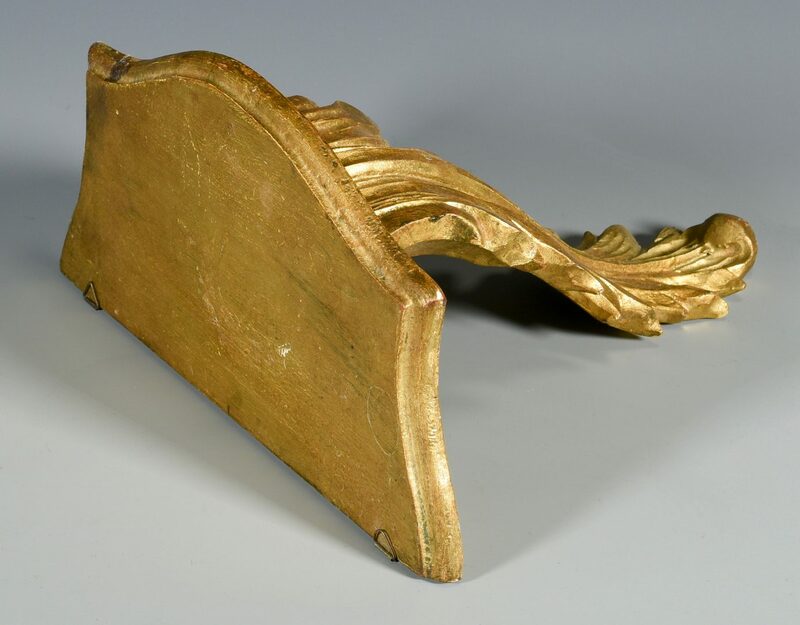 30" H x 11" W. 20th century. 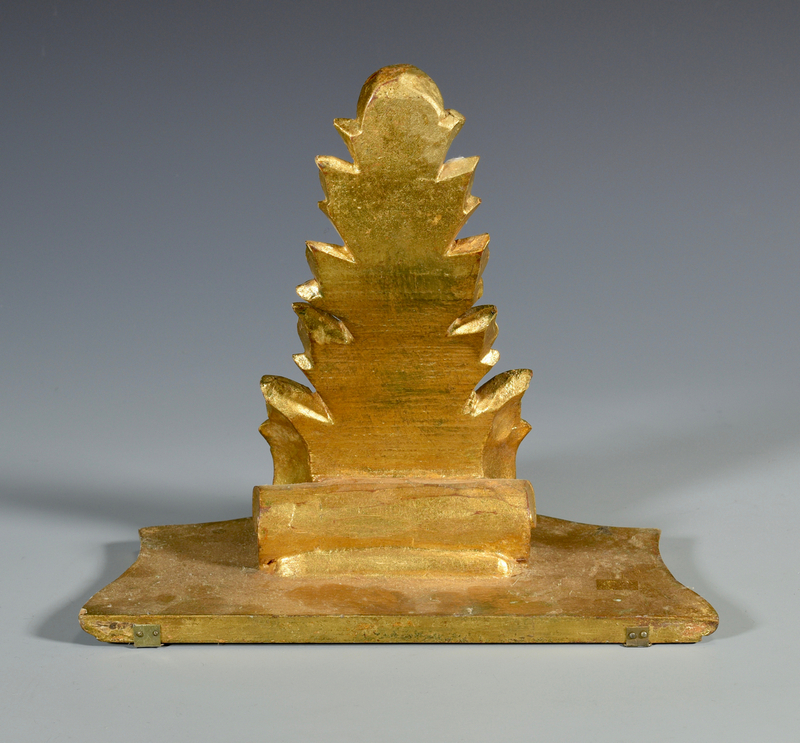 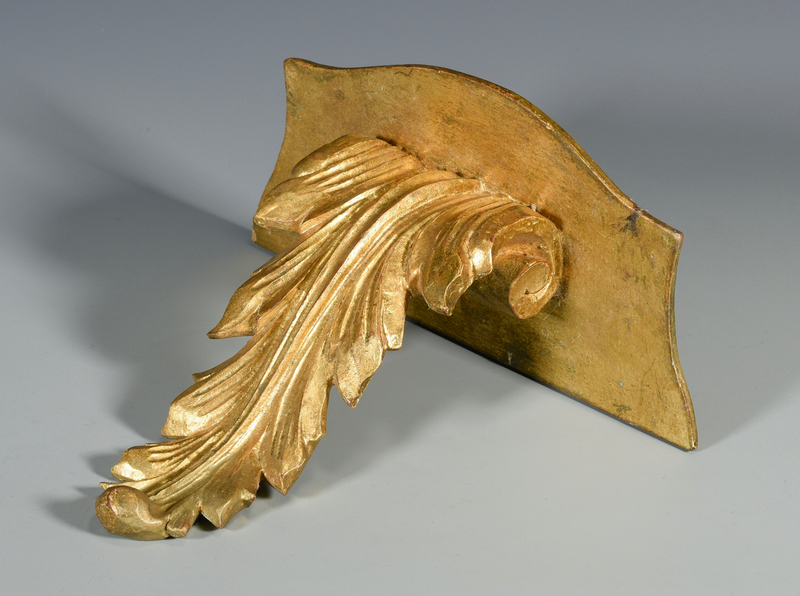 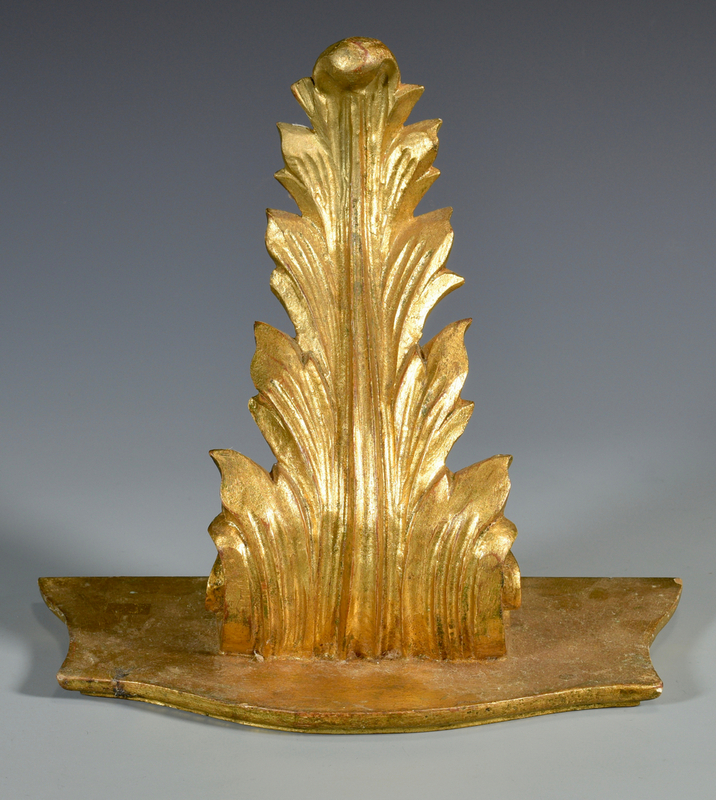 Lot also includes an Italian gilt wood acanthus leaf wall bracket. 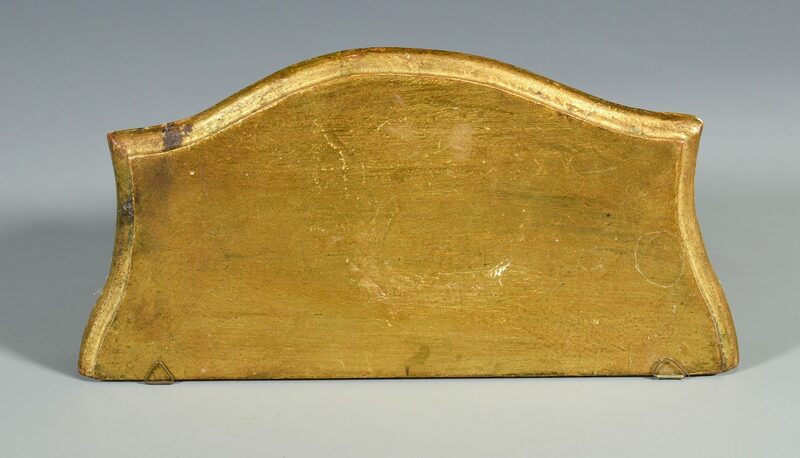 10 1/2" H x 11 1/4" W. 20th century. 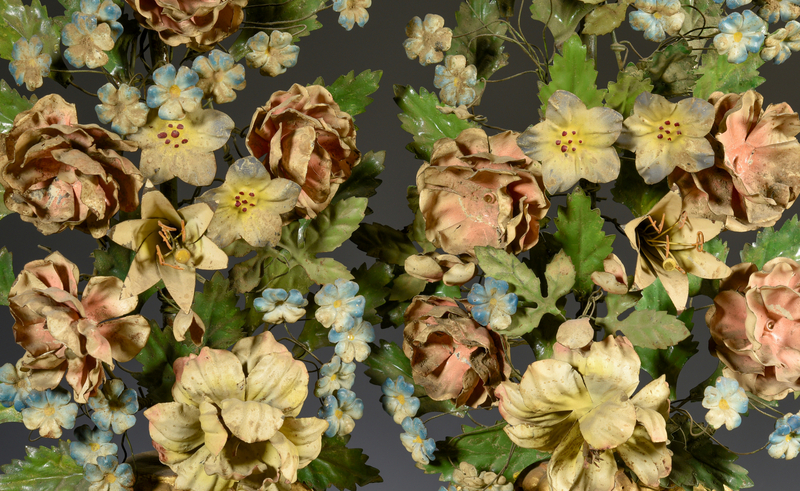 CONDITION: Some surface grime to flowers and leaves. 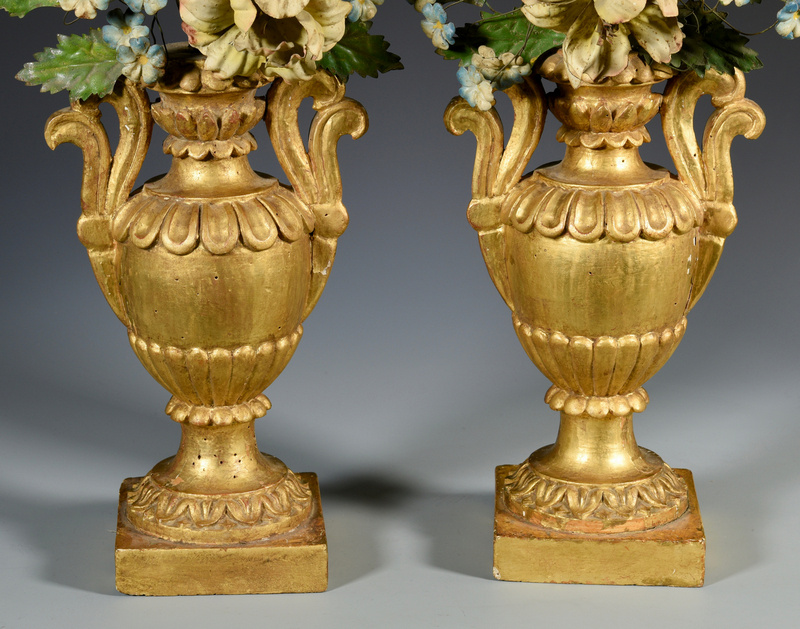 Scattered minor chips to urns.